The Malbon Suede G is the perfect blend of performance and style, bringing the classic PUMA Suede silhouette to the golf course. 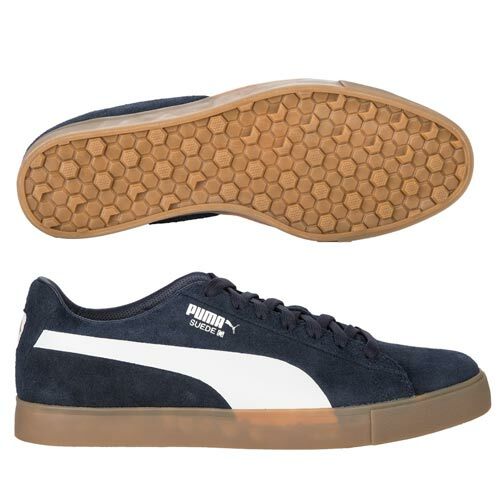 This style icon sports a golf specific, low-nap suede leather upper and elevated microfiber leather formstripe, built upon a hidden traction outsole that fuses street proven style with grip and performance for the course. 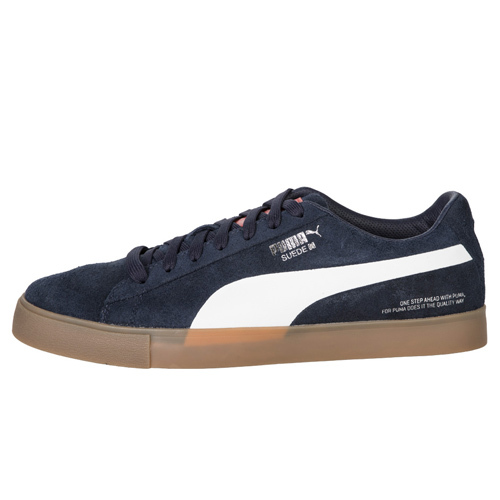 The shoe features the unique, retro Puma quote “One step ahead with Puma, For Puma Does it the quality way” on the left heel, the unique floral, palm print overlay on the sockliner, and the Malbon Golf Buckets Logo on the heel. The shoe will come in a special edition Suede 50th Anniversary shoe box that features the same tropical print as the sockliner. ・Text "One Step Ahead With Puma, For Puma Does It The Quality Way"